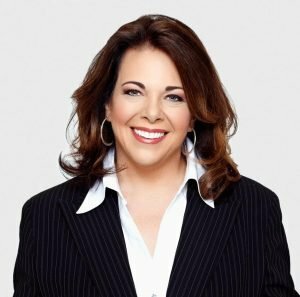 Carolyn Strauss is a professional speaker, CEO, author, television personality, executive coach and a proud member of the Denver philanthropic community. She works with organizations to optimize their Dollars Per Minute focusing on employee engagement, sales and the art of persuasion. She spent 18 years as CEO of her clothing company, The Carolyn Strauss Collection sold exclusively on the Home Shopping Network. Carolyn has studied and worked with some of the foremost experts in the world on gender communication, transacting in the marketplace and voice dialogue. Through years of continuous practice, study and learning, Carolyn brings unmatched expertise to serve her clients. Her passion to create workplaces that support team members, the executive suite and the goals of the business is evident, and she communicates her hard earned knowledge to each of her clients with a keen sense of humor and an engaging delivery. Through a lifetime of entrepreneurial ventures, a successful modeling career, years of retail experience and a television career, Carolyn has a varied background where she has been exposed to nearly every type of enterprise. This unique set of experiences has honed her ability to work successfully with almost any type of business. Enjoyed a highly successful 20-year career as a top plus-size fashion model with the Ford Modeling Agency, while living in NYC. Became the most requested Women’s Fashion Show Commentator in the US, working with every major department store for 20 years. In 1997 Carolyn launched The Carolyn Strauss Collection, a multi-million dollar apparel company that sold over $160 Million over an 18 year period, exclusively available on the Home Shopping Network. Carolyn is a top rated Vistage speaker. Carolyn was a judge for the Miss America pageant. Carolyn is the author of 5 books. Carolyn has spent time in all 50 states in the U.S.
Carolyn believes that a good day contains chocolate. Carolyn is excited to lend her leadership and support to IDA as the 2017 Corporate Chair.